Nokona ball gloves are popular. Maybe you had one when you were a kid? 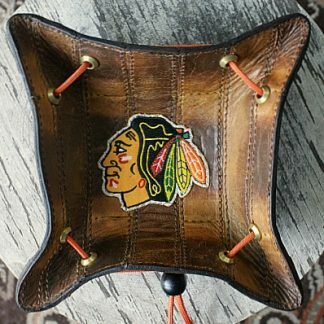 Did you ever think of having something created from it that would also be cool, fun to hold in your hand, and functional? 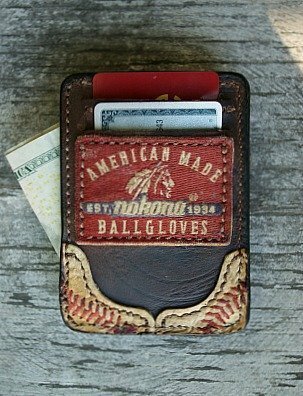 We have used several Nokona ball gloves to make different types of men’s accessories. 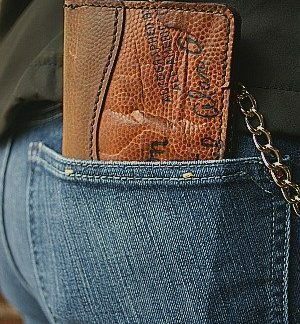 This 5-pocket wallet is one-of-a-kind and very useful. Send us your glove — Nokona, Wilson, Rawlings, Spaulding, etc. We don’t mind. 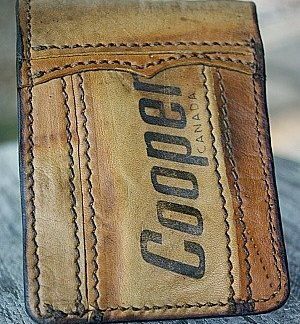 We can make you a cool 5-slot wallet or whatever you’re thinking. We’ll do it!